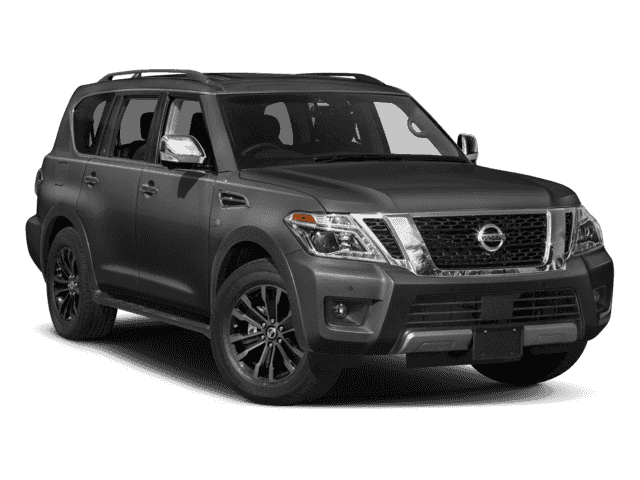 As the flagship of Nissan’s expanding lineup of SUVs and crossovers, the full-size family-adventure Armada features 8-passenger seating, a 5.6-liter Endurance® V8 with best-in-class1 standard 390 horsepower and standard towing capacity of 8,500 pounds for both 4WD and 2WD models (when properly equipped). There’s impressive craftsmanship from every seat. There’s room for up to eight, available advanced safety systems, and a commanding road feel, rain or shine. In addition, the new Platinum Reserve model is offered – with Dark Chrome exterior trim (front grille, door handles, outside mirrors), 20-inch Dark Chrome wheels, two-tone leather-appointed seats with unique stitching, unique Black Quartz and premium wood tone interior trim, and embossed “Platinum Reserve” emblem on the console lid. And, for the first time on any Nissan vehicle, Armada Platinum and Platinum Reserve models include standard Intelligent Rear View Mirror (I-RVM)5, which uses a high-resolution camera mounted on the rear of the vehicle to project a clear image onto an LCD monitor built into the standard rearview mirror.